The C555 L high-performance head-worn condenser microphone is ideal for handsfree applications, including presentations or onstage performances. 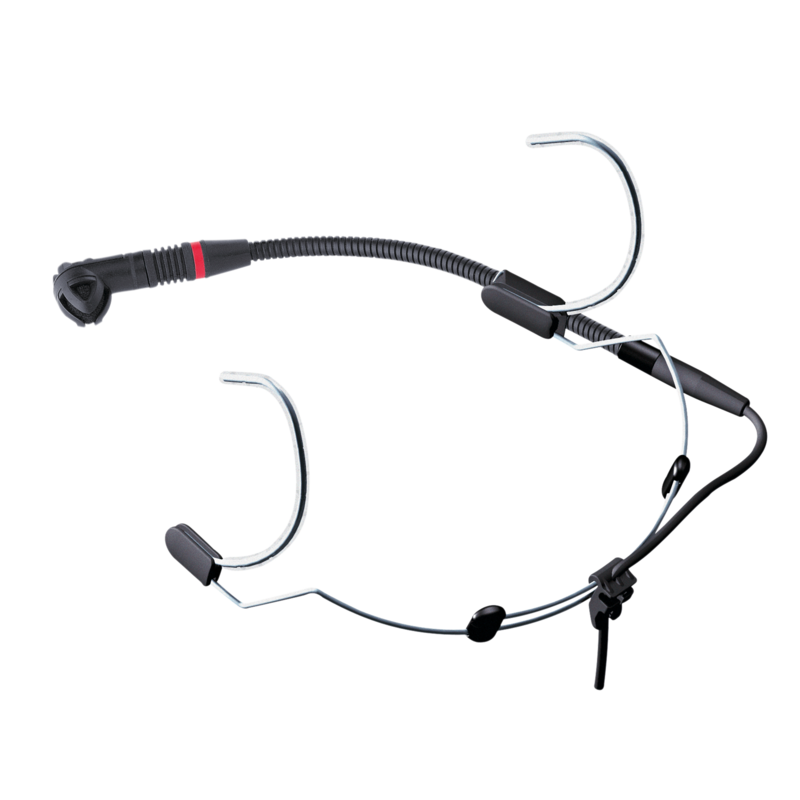 The C555 L rests securely and comfortably on the head, and can be attached to the left or right side of the behind-the-neck headband as desired. A transducer shock mount reduces handling noise to a minimum. The moisture shield ensures a high degree of humidity protection for the microphone. The C555 L provides a three-pin mini XLR connector and can be used with all AKG WMS Series body-pack transmitters, B29 L battery power supply, or the MPA VL adapter for external phantom powering.